One of the most stubborn challenges facing the pharmaceutical industry is in the provision of drug efficacy without the concomitant side effects. Targeted drug delivery promises much by way of minimising the toxicity and off-target effects of pharmaceuticals, but development has been hindered by issues of poor solubility and restricted accessibility to areas of the body that are protected by the dermal layer and the blood brain barrier (BBB). Mesoporous silica particles are attracting growing attention as functional biocompatible drug carriers which can deliver therapeutic agents to a target site in a controlled manner. 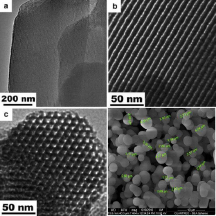 In particular, sol-gel derived mesoporous silicas represent a novel formulation which combines the favourable chemical properties of silica, such as thermal stability and biocompatibility, with the advantages of the sol-gel route such as relative simplicity in production, modification and the ability to maintain function of bioactive agents. Glantreo have developed platform technologies that allow the synthesis of these mesoporous particles. These technologies allow Glantreo to tune the relevant physical properties of the particles (particle size, pore size, surface area, and surface properties). In particular, the ability to activate the surface facilitates the incorporation of multiple drug molecules and controlled delivery to the target sites. In essence, Glantreo can provide the multifunctional drug delivery vehicles for smart and autonomous nanocarrier systems. In delivering the correct solution to its Pharmaceutical clients, Glantreo would engage in a rigorous 5 step process thereby ensuring the delivery of a quality nanomaterial to its partner. Horizon 2020 represents an enormous opportunity for the relevant consortia to leverage Glantreo’s nanomaterial capability. We believe that the combination of the below capabilities and the pharmaceutical subject matter expertise makes a compelling case. 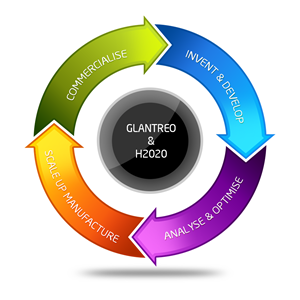 Click here to read more details of Glantreo’s plans and capabilities for Horizon 2020. In the field of Pharmaceuticals, poorly soluble APIs represent a significant challenge to the industry. 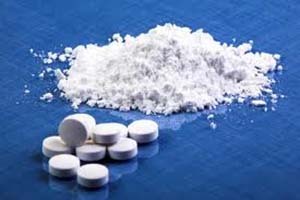 It is estimated that approx 40% of the drugs currently on the market suffer from the problem of low solubility in the human body and as a result are not as effective as they are intended. In addition, there is the potential that new drugs are not being considered for patient use, due to the very same reason. It is estimated that almost 90% of the new drugs being developed suffer from this issue. Increasing the solubility of these drugs can increase bioavailability, reduce side effects and variability, and improve effectiveness. This in turn can have a significant effect on the economics of drug candidate selection. The use of silica/API conjugates to enhance the performance of pharmaceuticals is currently an area of intense research for both small molecules and biological therapeutics. Glantreo has developed the OptiSil™ technology to address important challenges in drug development in particular poorly water soluble drug molecules, an approach which is now gaining favour in the industry. OptiSil™ Please click here to read more details of the technology. Glantreo & Horizon 2020 Please click here to read more details of Glantreo’s plans and capabilities for Horizon 2020.